Al Huda Elementary School | Rooted in Faith. Diverse in Knowledge. Exemplary in Action. Open House on Feb 22nd! Molding, modeling, making animal and plant cells for science! These beautifully designed cells were carefully crafted with detail by AHES grade 8 students! 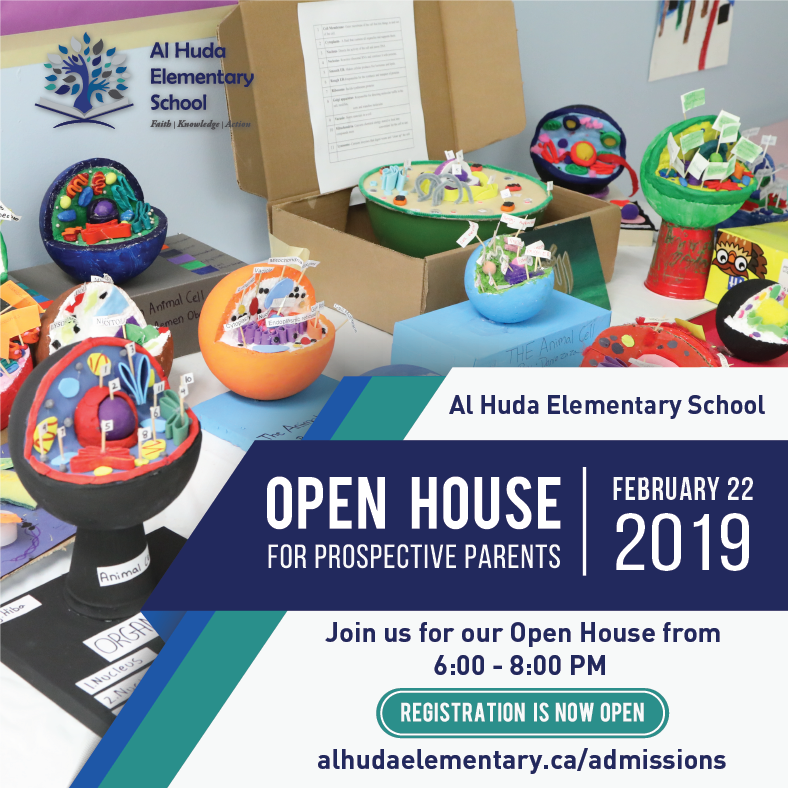 💠Join us for our OPEN HOUSE on February 22, 2019 from 6-8pm! Get a tour of the school and meet our staff! Also, don’t forget REGISTRATION IS NOW OPEN FOR THE 2019-2020 SCHOOL YEAR! AHES Spirit Day – Dec 21st! ** = dates are tentative based on Ramadan 1 and Eid Al-Fitr.